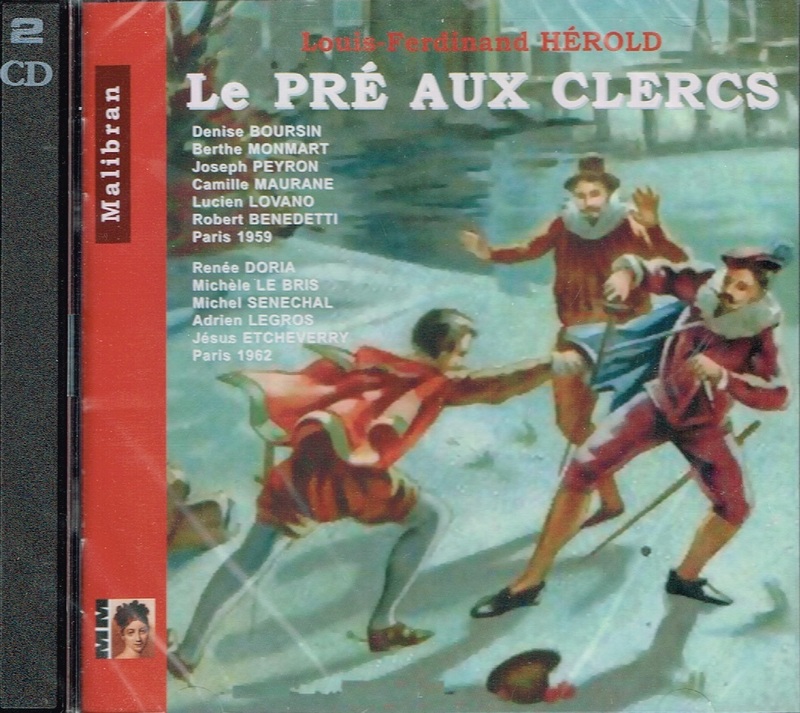 ï¿½LE PRï¿½ AUX CLERCS (The Scribe's Meadow) is an opï¿½ra comique in three acts by Ferdinand Hï¿½rold with a libretto by Franï¿½ois-Antoine-Eugï¿½ne de Planard based on Prosper Mï¿½rimï¿½e's CHRONIQUE DU TEMPS DE CHARLES IX of 1829. LE PRï¿½ AUX CLERCS was premiered in Paris by the Opï¿½ra-Comique at the Salle de la Bourse on 15 December, 1832. 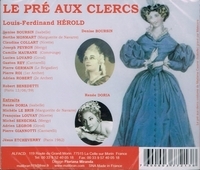 However, after the first performance, Madame Casimir refused - possibly demanding more money - to sing in the subsequent performances, and Mlle Dorus of the Opï¿½ra was coached by Hï¿½rold over five days to take over the role of Isabelle. Pougin claims that this incident exacerbated the composer's ill-health, leading to his death five weeks after the premiere. Camille Maurane was a French baritone singer who studied at the Paris Conservatoire in the class of Claire Croiza from 1936 to 1939. He began his professional career as a singer in 1940 at the Opï¿½ra-Comique in Paris. He dï¿½buted as the Moine musicien in LE JONGLEUR DE NOTRE DAME on 14 January 1940. His voice was typical of the baryton-martin range (between baritone and tenor). He is famous for his interpretation of Debussy's Pellï¿½as, for which he took part in three complete recordings. 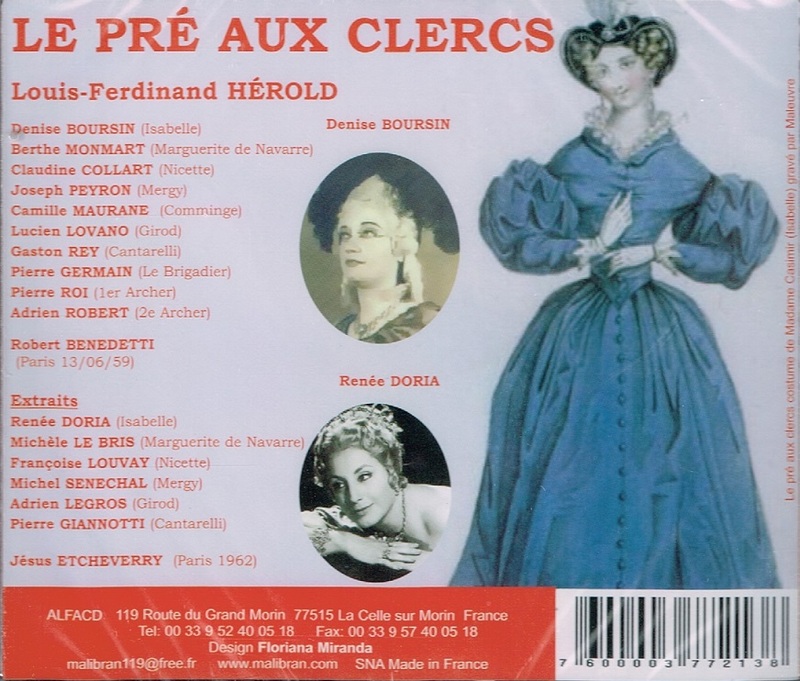 He is also regarded as one of the best interpreters of French mï¿½lodies, of which he left many recordings. His repertoire extended back to music of Rameau through to Honegger and other contemporaries. A dedicated teacher, he taught at the Paris Conservatory until 1981." ï¿½Following studies at the Paris Conservatory, Sï¿½nï¿½chal made his dï¿½but in 1950 at La Monnaie in Brussels. Under contract there for three seasons, he sang the lyric tenor repertory, as he continued to do later at both the Paris Opï¿½ra and the Opï¿½ra-Comique and in other theaters through France. His sophisticated sense of makeup, stage movement, comic timing, and seizing each element of irony and rendering it unforgettable all are built upon the underpinnings of a handsome light tenor voice, well-trained and always pleasant to hear. So dominant has this supporting artist become, the catalog reveals multiple recordings of his core repertory. His roles grew to include Rossini's Almaviva and Comte Ory, Hylas in Berlioz's LES TROYENS, Paolino in Cimarosa's IL MATRIMONIO SEGRETO, Georges Brown in Boieldieu's LA DAME BLANCHE, and three of Mozart's leading tenor parts: Tamino, Ferrando, and Don Ottavio. At Aix-en-Provence in 1956, Sï¿½nï¿½chal sang the travesty role of Rameau's PLATï¿½E, a curious creature of heart-stopping homeliness who believes herself to be beautiful. The role is both a leading one and a character study. His success in the role was so great, he was called upon to perform the part in Amsterdam, at the Monnaie, and later, the Opï¿½ra-Comique. For Sï¿½nï¿½chal's Metropolitan Opera dï¿½but on 8 March, 1982, he was engaged for LES CONTES D'HOFFMANN, performing the four comic tenor roles, a turn that by then had all but become a signature assignment. Other roles following at the Metropolitan were Guillot in Massenet's MANON and Mozart's Don Basilio. Sï¿½nï¿½chal has, in addition to established repertory stage works, undertaken contemporary operas. At Toulouse, he sang Fabien in the premiere of Marcel Landowski's MONTSï¿½GUR in 1985. The same year, he appeared as Pope Leo X in Boehmer's DOCKTOR FAUSTUS at the Paris Opï¿½ra.